Strategically located along the prime stretch of Orchard Road between ION Orchard and Ngee Ann City, Wisma Atria enjoys more than 100 metres of prime street frontage and has an established following among locals and tourists. The mall enjoys high pedestrian flow given its Orchard Road frontage and an underground pedestrian linkway which connects Wisma Atria to Orchard MRT Station and Ngee Ann City. Wisma Atria is home to the flagship stores of international retailers including Coach, Emperor Watch & Jewellery and Mauboussin. It also houses the first Tory Burch boutique in Singapore and the largest TAG Heuer boutique worldwide. Its mid-to upscale positioning also attracted fashion brands such as Cotton On Kids, Lacoste and Seafolly, local labels such as Charles & Keith and Pedro, as well as a wide range of beauty stores including the city’s largest ETUDE HOUSE. 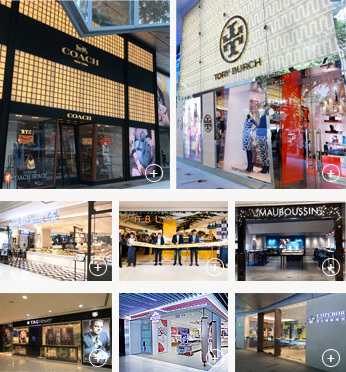 During 2Q FY18/19, we have witnessed the opening of new retail tenants at Wisma Atria, such as e-commerce fashion retailer Love & Bravery, international multi-label sneakers-apparel store AW LAB and international cutting-edge fashion eyewear brand MUJOSH LAB. The opening of the new Paradise Dynasty’s flagship restaurant at Wisma Atria in January 2019 brings with it an expanded Food & Beverage offering, with dishes created exclusively for the outlet, amongst a myriad of other F&B options at the mall. In FY 2017/18, the mall attracted a shopper traffic of 23.4 million. The Wisma Atria office tower offers its tenants a prestigious Orchard Road address and amenities such as restaurants, gyms, healthcare providers and convenience shops within walking distance. Wisma Atria comprises a podium block with four levels and one basement level of retail, three levels of car parking space and 13 levels of office space in the office block. Starhill Global REIT's interest in Wisma Atria comprises 257 strata lots representing 74.23% of the total share value of the strata lots in Wisma Atria (Wisma Atria Property). A cosmopolitan lifestyle mall offering a mid- to high-end range of international fashion brands for the fashion conscious and trendy shoppers.